Just look at those faces!!! LOL nonono, I only need Fuji σ(^_^;) I was gonna message you after I find a box to fit all the things I have ready for you but you found me out!!! Hehehe... Watcha wanna get first? Or do you want all now? My last Movic box for June is not shipped until after June 6th when the items are released. So the pencil case will be shipped with the other stuff after the last box comes. I don't know how my friend will decide to pack, so I can't tell you yet. You have two packages ready right now that I have already given you the totals for, and the pencil case will not fit in either package. So it's best not to worry about the pencil case right now. Just pay for the two packages that I've already given you the total for. 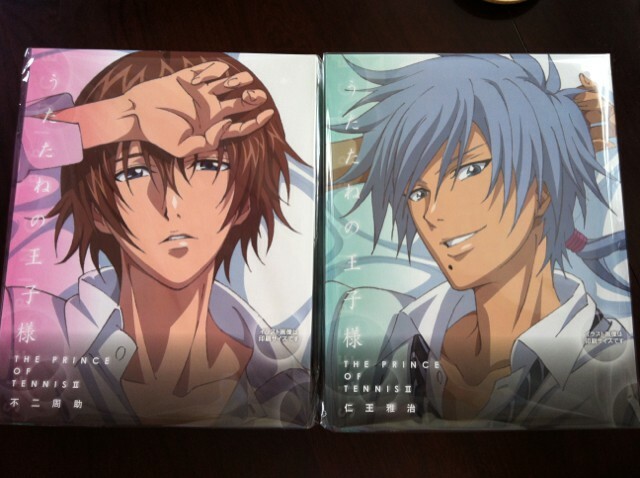 Once the pencil case comes, I can ship it with the Atobe one-coins that you have reserved. Yes, that is correct, the box is ready to ship to you.